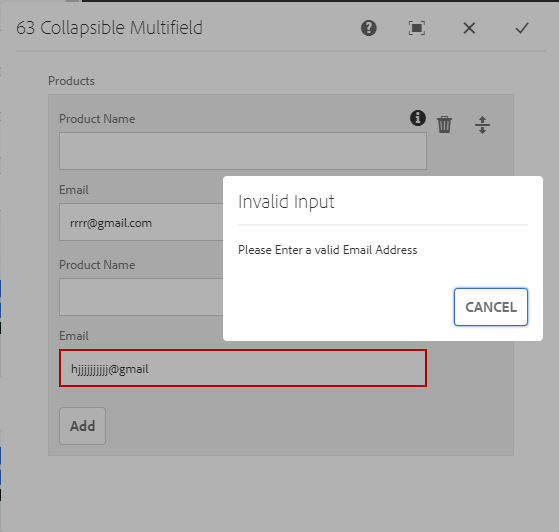 This post explain the details on enabling Custom Validation on multifield Touch UI. The form should not be submitted if there is atleast one error with email. 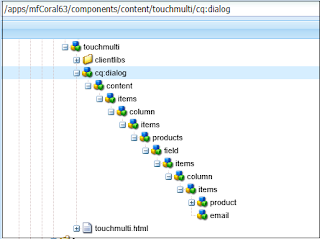 Define a cq:ClientLibraryFolder node under the component, name it clientlibs and add the following properties. 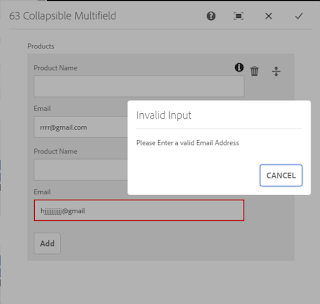 Create js.txt and validation.js under clientlibs folder. 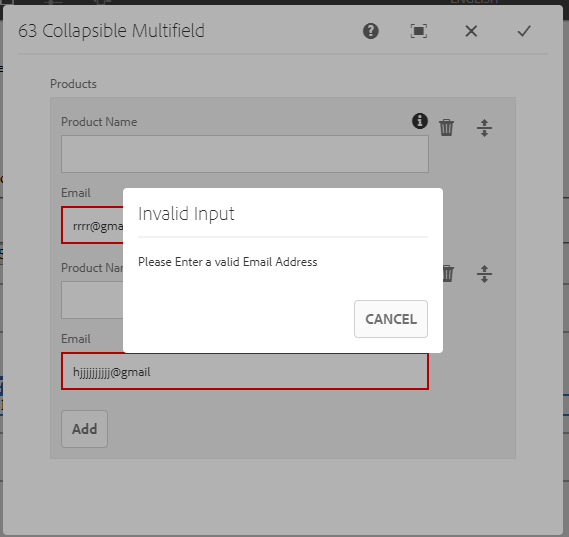 The error message will be displayed if the email address is invalid in any one of the field and also the email fields will be marked in red border on error, the form will be submitted on correcting all the email issues. 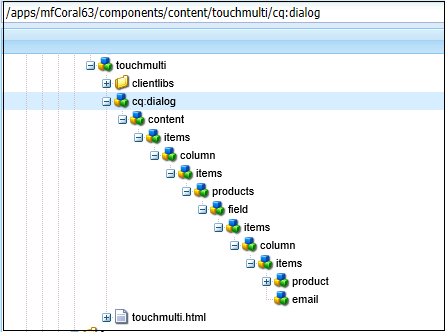 This has been developed and tested in AEM 6.4.